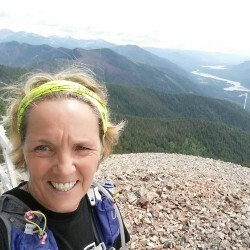 Home » News » Outdoor enthusiast Nancy Schmidt will coordinate the 2018 Winter Tracks program. Longtime “Friend” Nancy Schmidt joined the Friends of Scotchman Peaks Wilderness (FSPW) staff on November 29 as Winter Program Coordinator. She will lead the FSPW 2018 Winter Tracks outdoor education program. Schmidt, who has worked in education and healthcare most of her career, is happy to take her passion and love for the outdoors and utilize her skills to educate others. The Winter Tracks program is a day-long field trip experience for students in the counties surrounding the Scotchman Peaks, Sanders and Lincoln in Montana and Bonner in Idaho. Several Spokane schools also participate. The purpose of the Winter Tracks program is to get the students outside during the winter months and deepen their sense of place, build community, and connect to the outdoor world through experiential education. Winter Tracks students learn about a variety of topics through modules led by knowledgeable community volunteers as well as staff. Modules include but are not limited to Leave No Trace, Tree Identification, Winter Mammals, Winter Birding, Animal Adaptations, Skulls and Pelts, Avalanche Awareness, Animal Tracking and other winter topics that utilize instructor expertise. Schmidt grew up in Pittsburgh Pennsylvania and earned her Bachelors of Science in Parks and Recreation Administration from Slippery Rock University in Pennsylvania. She worked in community recreation for a number a years as a YMCA Director, a Director of Parks and Recreation , and as a manager of a health and tennis club. She earned her Masters Degree in Health Education at Penn State University in 1993 and went on to work as a health educator and adjunct faculty member at Chatham University, and the University of Pittsburgh. She went on to earn her PhD in Psychiatric Epidemiology at the University of Pittsburgh and was employed by Carnegie Mellon University for a number of years before moving to Idaho. Schmidt has been employed an educator and counselor since moving to Idaho in 2007. She has worked with at risk students in residential facilities as well as teaching social and emotional curriculum in elementary schools. Nancy has been certified in the State of Idaho as a Alcohol and Drug Counselor (CADC) as well as a Certified Health Education Specialist (CHES). Woo hoo! You energy and organization and passion will be a force for a successful winter education season. Can’t wait to work with you. You da boss! Woo hoo! Your energy and organization and passion will be a force for a successful winter education season. Can’t wait to work with you. You da boss! NANCY is a Slippery Rock Rockstar ! !